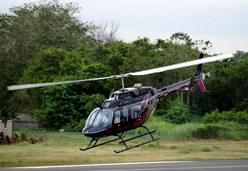 Please have a look at our available airplanes and helicopters for private flights in the Dominican Republic. Feel free to choose the one that better fits you or your group and just click on "Request a quote" to let us know about the destination you would like to reach and from where you need to be picked up. 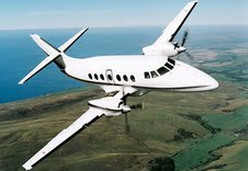 We offer private flights from any airport to any other airport . We have private flights from Santo Domingo to Punta Cana, private flights from Punta Cana to Puerto Plata or private flights from Santo Domingo to Santiago. We will make sure we can offer you the best quote available for our charter flights to your reach your destination stress free in the Dominican Republic. 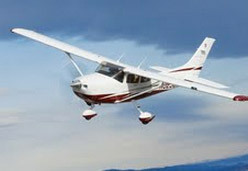 The Cessna features a classic high-wing design that guarantees various practical benefits that include stable flight characteristics, increased visibility and easy access to passengers. All of these add up to an aircraft that just feels right. It holds the reputation of being the safest general aviation aircraft ever built. The wraparound windows of the Cessna allow passengers to enjoy panoramic views of their surroundings. This is a single-engined aircraft specifically engineered to meet the latest international airworthiness and safety standards. 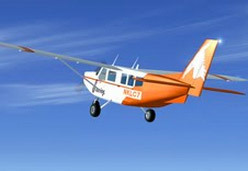 The Airvan has features that ensure passenger comfort, safety and enjoyment of the flight. These include the ease of boarding through the double width passenger entry door and the large panoramic window for each passenger. The Jetstream 31 is a small turboprop airliner. It consists of 2 engines, has a crew of two and reaches a maximum speed of 488 km/h with a range of 1,260 km. The Jetstream is the perfect way to move your group to a variety of destinations in pressurized comfort. 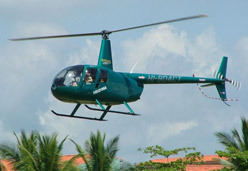 The Robinson the R44 is probably the most popular helicopter in the world. It is a light piston power helicopter that offers passengers a comfortable upright seating position and is equipped with air conditioning. It is perfect for aerial photo flights and scenic flights. Whether for corporate transportation or scenic flights the Bell 206 has the power to fly higher and farther. It's designed to be the ideal flying workplace. With its club-passenger seating very comfortably allows for face-to-face conversations.